I just felt I was neglecting some of my other favorite blogs since headed back to work. I never miss a week of seeing what both sites have been up to. I decided to pair these two challenges together for my card! 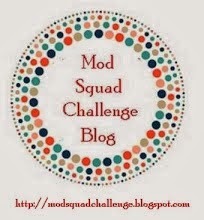 Mod Squad has a Fruitful Challenge this time around. 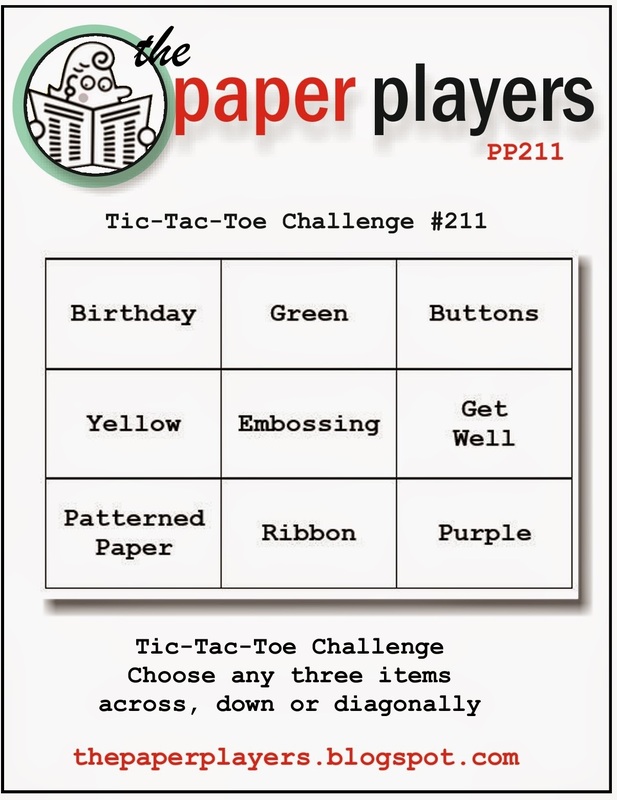 and the Paper Players has a Tic Tac Toe Challenge this week. also realized that Green, Embossing, and Ribbon works too. Now how about some details on my card! I think if people watched me make a card they would get a big chuckle. can usually find me tearing it apart. Carefully I might add. This card was true to that statement. the added black trim around my letters really made them pop as well. I love little details that is for sure the more intricate the better. I think color balance is so important to a piece…. of any type of art. 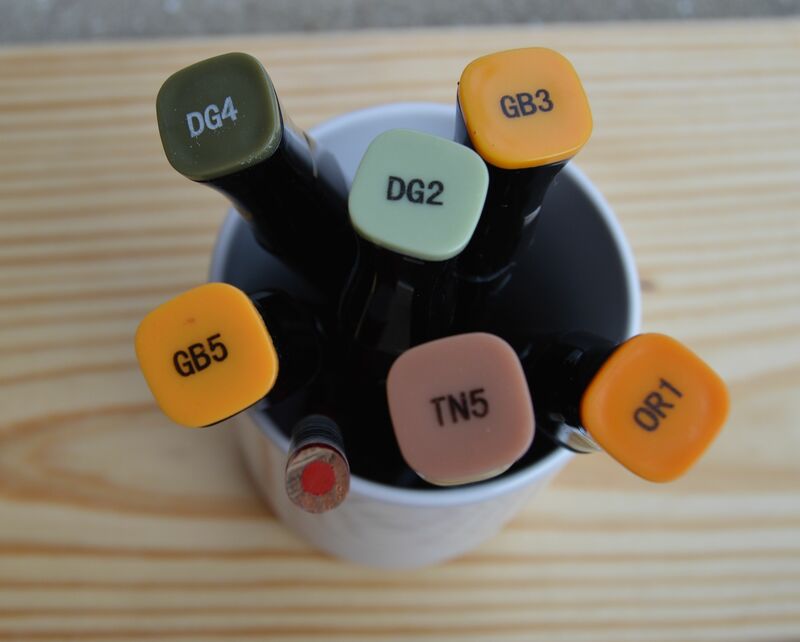 to photograph the pens I used. Go check out her photos …WOW!! I didn’t have a red I was happy with so I used a prisma colored pencil too. I am still learning my new camera. cool label background is from Gina K Designs. The letters were made with an ABC set, but that is obvious I am sure. The paper is a 6 x 6 fall pack from Recollections. The circle behind the pumpkin and the label at the bottom are Nestabilities. Take care, and I so appreciate all of YOU! Categories: Cards | Tags: Card making, Cards, fall, Gina K designs, rubber stamps, spectrum noir pens, stamping, thankful | Permalink. Love your card with the cute letter tags and pumpkins. Great take on both challenges. Glad you were able to have some fun making your card. Fantastic card! The colors are my fall favorites and I love how you accented the Thankful sentiment. So glad you shared your creation at The Paper Players. What a fun fall card! Cute pumpkin! Great use of the Tic Tac Toe elements. Thanks for joining us at The Paper Players. Wow Nancy, this card is incredible looking. First, I absolutely love all the different details and colors. It’s put together perfectly. It’s a fall card, with a bit of a Halloween vibe to it. Just love it! Wow, so much to look at. It all goes so perfectly together……love the colors and patterns! Wonderful job, my friend! LOVE your coloring!! And the pennant sentiment is sooo cool!! Thanks so much for playing along with us! Great job of the challenge, Nancy! I love the coloring you did. So beautiful! THANKS FOR PLAYING WITH THE PAPER PLAYERS! I love Halloween! This is darling. Absolutely gorgeous. Just adore the mix of design papers and how you did the sentiment. What a cute card! I love all of the little tags. Your coloring on the pumpkin is perfect! Thanks for playing with The Paper Players! This is the second best card I have seen for the fall harvest/Halloween card contests. Love your color choices and papers blend all tog. Wow…really…so kind of you! Love those papers too! Thanks so much!